Welcome to Ottawa Piano Festival! Our mission is to foster musical growth in the piano students of the Ottawa area. By performing in an encouraging setting, students can develop confidence in their playing, and will receive valuable feedback from a supportive and knowledgeable panel of judges. Participants of our festival may be recommended to the Provincial Ontario Music Festival in classes from Grade 6 to Diploma level, and Concerto Classes. Students must be prepared to meet the criteria of the Ontario Music Festival. 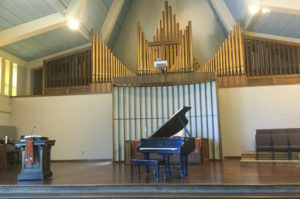 Best performers of J.S.Bach pieces will be granted a performance at the Bach Marathon organized by Royal Canadian Collage of Organists which takes place May 11th, 2019 at Woodroffe United Church. ***BREAKING NEWS! *** We are excited to announce that this year University of Ottawa professor and pianist Leopoldo Erice will adjudicate students in Senior classes.